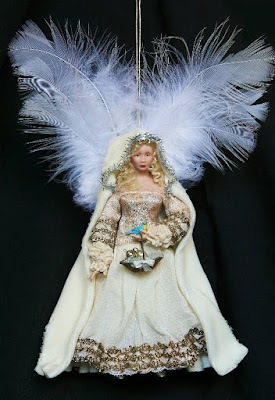 About two months ago Marsha from Sassy Mini Dolls organized a Christmas Ornament Exchange. Not a miniature thing per se, but I loved the idea and decided to join in. My swap partner was Sherry, someone I have never met, but judging by her blog and the emails she sent me, she's a very sweet person. I finally decided to make her an angel. 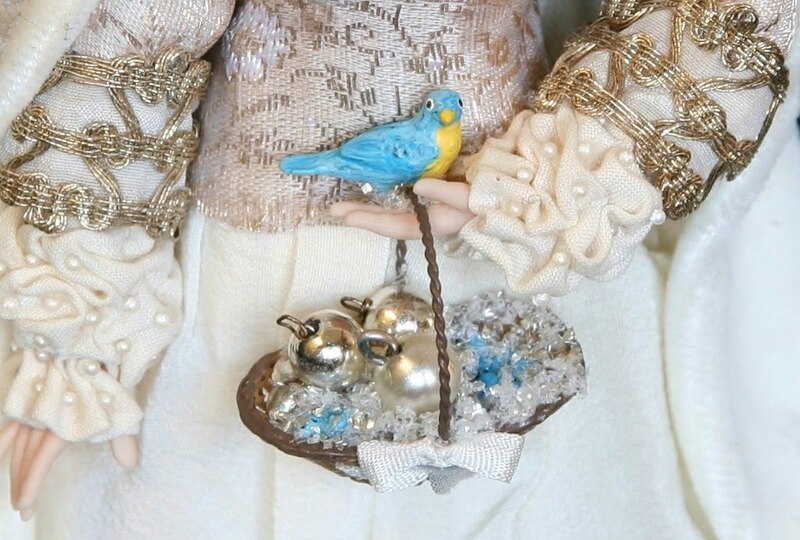 The little bird she is holding refers to the birds on Sherry's birth announcements. Unfortunately the ornament Sherry has made for me is still stuck in the mail somewhere between the USA and Holland. The fact that the Dutch mail has been on a strike I'm sure hasn't helped the matter...I am confident that it will arrive before Christmas though (don't worry Sherry!). I am still in full Saint Nicholas mode here and don't start my Christmas decorating until December 15th usually so I am very patient. Of course I will show you my gift here when it has arrived! Check out Marsha's Blog Party to see the ornaments made by other participants! What a stunning ornament you have made, the doll is beautiful, Sherry is a lucky girl. 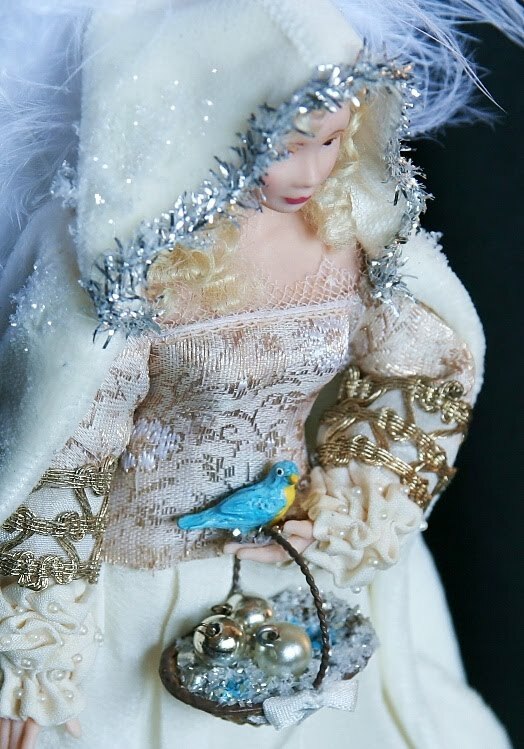 Josje, Your angel is stunning and Sherry must have been thrilled when she opened your package!!! I love the basket she is holding and also the bird!! Her dress is so wonderful! What a beauty! You created a beautiful angel and I am sure that Sherry will cherish it. What a fun exchange. Un angel elegante y dulce. Me encanta el detalle de la cestita y el pajaro.